What Did We See in Taijuan Walker’s Return? Taijuan Walker is back. It’s an unusual thing to say of a guy who was barely here in the first place, but Walker finally made his big-league 2014 debut Monday night, turning in six decent frames against the Astros. The hope is he’ll stabilize a back of the rotation left in the unstable hands of Brandon Maurer and Erasmo Ramirez. 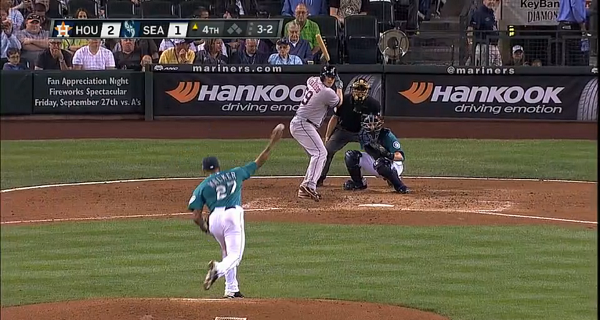 More than anything, the Seattle Mariners are just happy to have Walker seemingly past his shoulder issue. If all goes well, Walker will be starting the rest of the way, and though he’s short on major-league experience, it’s interesting to note some adjustments he flashed. Walker started for the Mariners three times in 2013; his 2014 start doesn’t fit the same patterns. Much more will be learned, of course, over the following weeks. One start against one opponent can’t be easily compared to other starts against other opponents, and so Walker will take some time to even out. But Monday, Walker showed some differences in his pitch mix. He showed a difference in his setup. And he showed a difference in his delivery. What looks like it’s changed, for one of baseball’s very best young pitching prospects? Let’s get into a little bit of detail. Walker would be the first to say he didn’t really have his fastball early on. He pitches off his fastball, like everybody, and though there weren’t any issues with his velocity, it was more about location. 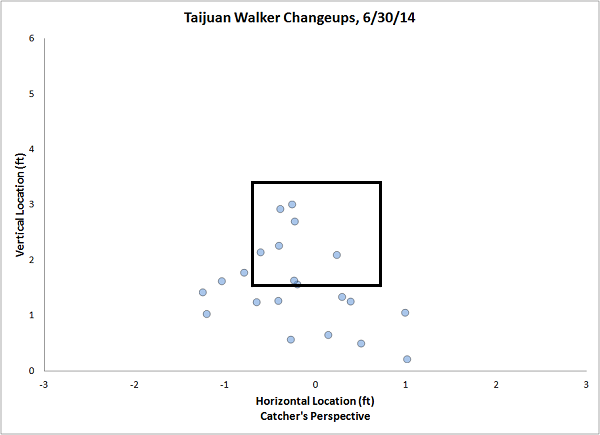 Here is evidence Taijuan Walker didn’t have awesome fastball location. Walker said he threw mostly fastball and cutters and that his curveball felt “all right,” though one pitch gave him trouble. “I didn’t throw as many changeups as I’d like to, but it wasn’t really feeling too good in the bullpen,” he said. The cutter should still be there, as we have Walker acknowledging it post-injury. But it seems like he’s developed a greater trust in his change, which would give him another weapon, if effective. There’s not a great velocity separation between the changeup and the fastball, but if the changeup stays down and if the fastball lives in the upper half, there’ll be a greater perceived separation. This is going to be interesting to follow — it’s too soon to say whether this is good or bad, but Walker might be partially replacing one weapon with another. It’s a difference of only some inches, and it might not ultimately change anything about his performance, but Walker might think this allows him to better attack the corners he wants to barrage against lefties and righties. 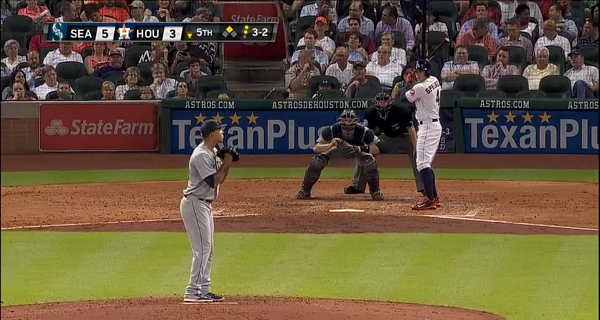 Pitchers are frequently shifting around, and Walker’s done this for a reason. Walker has made a mechanical adjustment where uses his legs more and finishes through pitches, with the hope it takes stress off his shoulder. He’s thrown two simulated games on his latest rehab stint, but the adjustment is still a work in progress. “It’s still new, I’m still trying to get used to it. I’m not used to finishing violently, I guess, getting out there,” he said. 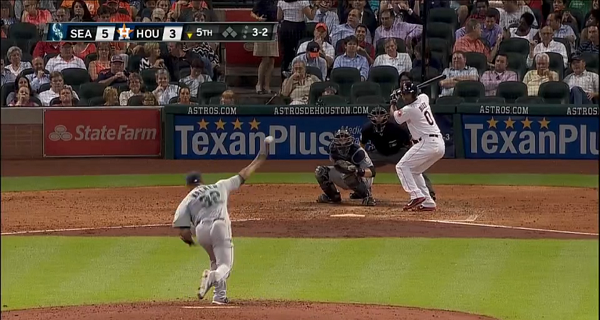 Look at Walker’s head, shoulders, and elbow. Previously, Walker was a little more upright, but Monday he was throwing more forward, seemingly getting better extension. The pitcher below certainly looks like a pitcher getting a better drive toward home plate, and Walker now might get on top of his pitches a little more. And if it’s true that Walker is releasing the ball a little more forward, that’ll be good news for his perceived velocity, which he was by no means lacking before the injury. The main idea here is to try to increase Walker’s odds of maintaining a healthy shoulder, but he could also end up with sharper movement and a greater ability to disrupt timing. As far as the first point’s concerned, Walker’s curveball did show a little more run and a little less drop, with a little more oomph. What you’re looking at is an over-analysis of one start. And it’s one start by a pitcher who isn’t even fully comfortable yet with his adjusted mechanics. Of course this is going to take time before we can analyze results. But Taijuan Walker was already a guy to watch, when he was first coming up. Now he’s worked his way through a shoulder scare, and he’s modified the way he throws, with hints that he’s also modifying which pitches he throws in which proportions. The goal is always to get better and to stay healthy. We don’t know if Walker’s going to accomplish one, or both. But at least now we get to start finding out. And at least now we get to watch Taijuan Walker instead of Erasmo Ramirez. The thing about injured young pitchers is they tend to come back. We hoped you liked reading What Did We See in Taijuan Walker’s Return? by Jeff Sullivan! I posted this in the Daily Notes a week ago and didn’t get much feedback, so, just to be clear, how does one pronounce “Taijuan”? 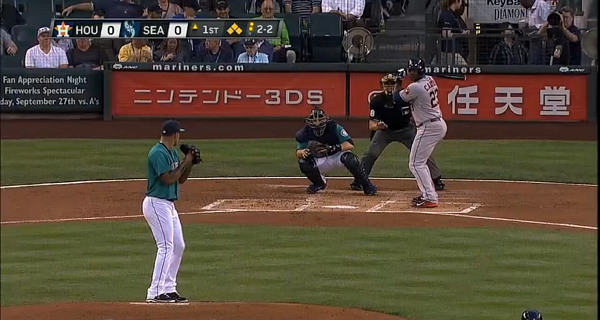 Like, being a M’s fan makes you want to Taijuan On. Excellent, I was right. Thanks! Now I hope they sign Chien-Ming Wang and he gets confused by the locker room conversations. Lol. That’s why I can’t talk to my dad about Julio Teheran.